In spring 2018, Superpower Dogs comes to Giant Screen and IMAX theaters in 3D: the true story of how rookie puppy Halo and her human partner become a FEMA certified urban search and rescue team in Florida and how rescue dogs and their partners face dangerous situations and bring criminals to justice. Follow Superpower Dogs at facebook.com/SuperpowerDogs. Support the movie’s Indiegogo campaign, which runs through Nov. 18. 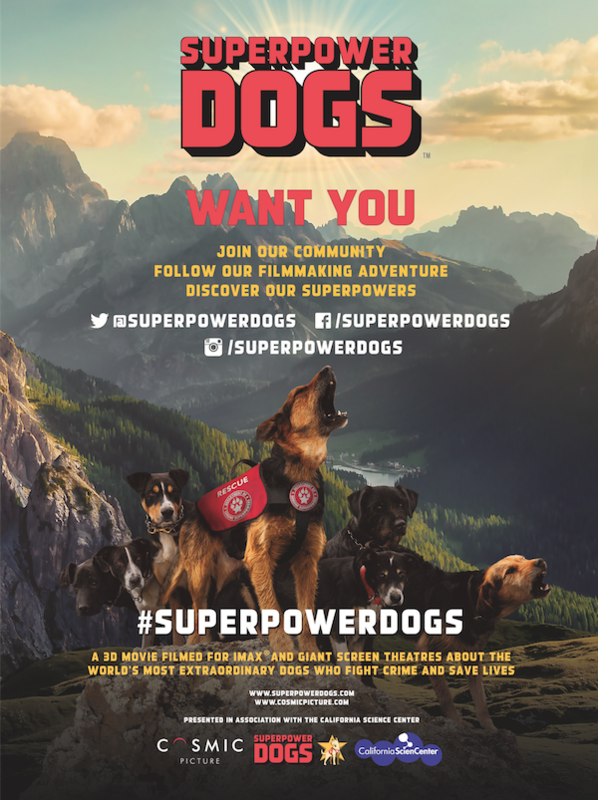 The post Help “Superpower Dogs” Get to Giant and Imax Screens appeared first on Dogster.